This article is about substances also known as "make-up" in English. For other uses, see Cosmetic. "Toilette" redirects here. It is not to be confused with Toilet. Cosmetics are substances or products used to enhance or alter the appearance of the face or fragrance and texture of the body. Many cosmetics are designed for use of applying to the face, hair, and body. They are generally mixtures of chemical compounds; some being derived from natural sources (such as coconut oil), and some being synthetics or artificial. Cosmetics applied to the face to enhance its appearance are often called make-up or makeup. Common make-up items include: lipstick, mascara, eye shadow, foundation, blush, and contour. Other common cosmetics can include skin cleansers, body lotions, shampoo and conditioner, hairstyling products (gel, hair spray, etc. ), perfume and cologne. In the U.S., the Food and Drug Administration (FDA), which regulates cosmetics, defines cosmetics as "intended to be applied to the human body for cleansing, beautifying, promoting attractiveness, or altering the appearance without affecting the body's structure or functions". This broad definition includes any material intended for use as a component of a cosmetic product. The FDA specifically excludes pure soap from this category. Kissproof brand face powder from 1926, from the permanent collection of the Museo del Objeto del Objeto in Mexico City. Cosmetics have been in use for thousands of years. The absence of regulation of the manufacture and use of cosmetics has led to negative side effects, deformities, blindness, and even death through the ages. Examples are the prevalent use of ceruse (white lead), to cover the face during the Renaissance, and blindness caused by the mascara Lash Lure during the early 20th century. 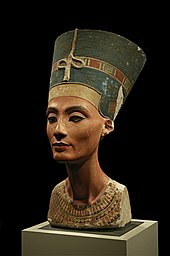 Egyptian men and women used makeup to enhance their appearance. They were very fond of eyeliner and eye-shadows in dark colors including blue, red, and black. Ancient Sumerian men and women were possibly the first to invent and wear lipstick, about 5,000 years ago. They crushed gemstones and used them to decorate their faces, mainly on the lips and around the eyes. Also around 3000 BC to 1500 BC, women in the ancient Indus Valley Civilization applied red tinted lipstick to their lips for face decoration. Ancient Egyptians extracted red dye from fucus-algin, 0.01% iodine, and some bromine mannite, but this dye resulted in serious illness. Lipsticks with shimmering effects were initially made using a pearlescent substance found in fish scales. Six thousand year old relics of the hollowed out tombs of the Ancient Egyptian pharaohs are discovered. Kohl used by ancient Egypt as a protectant of the eye. One of the most popular traditional Chinese medicines is the fungus Tremella fuciformis, used as a beauty product by women in China and Japan. The fungus reportedly increases moisture retention in the skin and prevents senile degradation of micro-blood vessels in the skin, reducing wrinkles and smoothing fine lines. Other anti-aging effects come from increasing the presence of superoxide dismutase in the brain and liver; it is an enzyme that acts as a potent antioxidant throughout the body, particularly in the skin. Tremella fuciformis is also known in Chinese medicine for nourishing the lungs. In the Middle Ages, it seemed completely natural that the face should be whitened and the cheeks rouged. 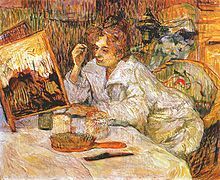 During the sixteenth century, the personal attributes of the women who used make-up created a demand for the product among the upper class. Cosmetic use was frowned upon at many points in Western history. For example, in the 19th century, Queen Victoria publicly declared make-up improper, vulgar, and acceptable only for use by actors. Many women in the 19th century liked to be thought of as fragile ladies. They compared themselves to delicate flowers and emphasized their delicacy and femininity. They aimed always to look pale and interesting. Sometimes ladies discreetly used a little rouge on the cheeks and used "belladonna" to dilate their eyes so it would make them stand out more. Make-up was frowned upon in general, especially during the 1870s when social etiquette became more rigid. Teachers and clergywomen specifically were forbidden from the use of cosmetic products. During the 19th century, there was a high number of incidences of lead-poisoning because of the fashion for red and white lead makeup and powder. This led to swelling and inflammation of the eyes, weakened tooth enamel, and caused the skin to blacken. Heavy use was known to lead to death. However, in the second part of the 19th century, great advances were made in chemistry from the chemical fragrances that enabled a much easier production of cosmetic products. It was socially acceptable for actresses in the 1800s to use makeup, and famous beauties such as Sarah Bernhardt and Lillie Langtry could be powdered. Most cosmetic products available were still either chemically dubious or found in the kitchen amid food coloring, berries and beetroot. In 1968 at the feminist Miss America protest, protestors symbolically threw a number of feminine products into a "Freedom Trash Can." This included cosmetics, which were among items the protestors called "instruments of female torture" and accouterments of what they perceived to be enforced femininity. As of 2016, the world's largest cosmetics company is L'Oréal, which was founded by Eugène Schueller in 1909 as the French Harmless Hair Colouring Company (now owned by Liliane Bettencourt 26% and Nestlé 28%; the remaining 46% is traded publicly). The market was developed in the US during the 1910s by Elizabeth Arden, Helena Rubinstein, and Max Factor. These firms were joined by Revlon just before World War II and Estée Lauder just after. Although modern make-up has been traditionally used mainly by women, an increasing number of men are using cosmetics usually associated to women to enhance or cover their own facial features such as blemishes, dark circles, and so on. Cosmetics brands release products specially tailored for men, and men are increasingly using them. Cosmetics are intended to be applied externally. They include, but are not limited to, products that can be applied to the face: skin-care creams, lipsticks, eye and facial makeup, towelettes, and colored contact lenses; to the body: deodorants, lotions, powders, perfumes, baby products, bath oils, bubble baths, bath salts, and body butters; to the hands/nails: fingernail and toe nail polish, and hand sanitizer; to the hair: permanent chemicals, hair colors, hair sprays, and gels. A subset of cosmetics is called "makeup", refers primarily to products containing color pigments that are intended to alter the user's appearance. Manufacturers may distinguish between "decorative" and "care" cosmetics. Cosmetics that are meant to be used on the face and eye area are usually applied with a brush, a makeup sponge, or the fingertips, or a beauty blender. Lipstick, lip gloss, lip liner, lip plumper, lip balm, lip stain, lip conditioner, lip primer, lip boosters, and lip butters: Lipsticks are intended to add color and texture to the lips and often come in a wide range of colors, as well as finishes such as matte, satin, gloss and lustre. Lip stains have a water or gel base and may contain alcohol to help the product stay on leaving a matte look. They temporarily saturate the lips with a dye. Usually designed to be waterproof, the product may come with an applicator brush, directly through the applicator, rollerball, or could be applied with a finger. Lip glosses are intended to add shine to the lips and may add a tint of color, as well as being scented or flavored for a pop of fun. Lip balms are most often used to moisturize, tint, and protect the lips. Some brands contain sunscreen. Using a priming lip product such as lip balm or chapstick can prevent chapped lips. Primer is used to set the face before makeup is applied. This creates another layer between the skin to prevent acne and makeup clogging up pores. Primer creates an even tone throughout the skin and makes makeup last longer. Primer is applied throughout the face including eyes, lips, and lashes. This product has a creamy texture and applies smoothly. Concealer covers imperfections of the skin. Concealer is often used for any extra coverage needed to cover acne/pimple blemishes, undereye circles, and other imperfections. Concealer is often thicker and more solid than foundation, and provides longer lasting, more detailed coverage as well as creating a fresh clean base for all the rest of the makeup. This product also brightens up the skin and applying under the foundation can remove blemishes and discoloration because of acne scars.
. Some formulations are intended only for the eye or only for the face. This product can also be used for contouring the face like ones nose, cheekbones, and jaw line to add a more defined look to the total face. In that case, adding a setting powder will add a matte finish. Foundation is used to smooth out the face by covering spots, acne, blemishes, or uneven skin tone. These are sold in a liquid, cream, or powder, or more recently in a mousse. Foundation provides sheer, matte, dewy or full coverage. Foundation primer is applied before foundation to fill out pores, create a dewy look or create a smoother finish. They usually come in cream formulas to be applied before foundation as a base. Face powder sets the foundation and under eye concealer, giving it a matte finish while also concealing small flaws or blemishes. It can also be used to bake the foundation, so that it stays on longer and create a matte finish. Tinted face powders may be worn alone as a light foundation so that the full face does not look as caked-up as it could. Rouge, blush, or blusher is cheek coloring to bring out the color in the cheeks and make the cheekbones appear more defined. Rouge comes in powder, cream, and liquid forms. Different blush colors are used to compliment different skin tones. Highlight, used to draw attention to the high points of the face such as the cheekbones, below the eyebrows, nose, upper lip, and collar bones. This product also adds a glow; comes in liquid, cream, and powder forms. It often contains a substance to provide shimmer. Alternatively, a lighter-toned foundation/concealer can be used. Bronzer gives skin a bit of color and contours the face for a sharper definition or creates a tan-look. Bronzer is considered to be more of a natural look and can be used for everyday wear. Bronzer enhances the color of the face. It comes in either matte, semi-matte/satin, or shimmer finishes. Mascara is used to darken, lengthen, thicken, or draw attention to the eyelashes. It is available in various colors. Some mascaras include glitter flecks. There are many formulas, including waterproof versions for those prone to allergies or sudden tears. It is often used after an eyelash curler and mascara primer. Many mascaras have components to help lashes appear longer and thicker. Eye liner is used to enhance and elongate the apparent size or depth of the eye. For example, white eyeliner on the waterline and inner corners of the eye makes the eyes look bigger and more awake. It can come in the form of a pencil, a gel, or a liquid and can be found in almost any color. Conversely, black eyeliner makes eyes look smaller, brightens up the face and draws attention to the eyes. Eyebrow pencils, creams, waxes, gels, and powders are used to color, fill in, and define the brows. Popular in recent years, the "Instagram look" is creating fuller eyebrows by filling it, sharper angles, and adding gel to set it. Nail polish is used to color the fingernails and toenails. Transparent, colorless versions may strengthen nails or be used as a top or base coat to protect the nail or polish. This can be found in gloss, matte, and powder. Setting spray is used as the last step in the process of applying makeup. It keeps applied makeup intact for long periods. An addition to setting spray is setting powder, which may be either pigmented or translucent. Both of these products claim to keep makeup from absorbing into the skin or melting off. False eyelashes are used when exaggerated eyelashes are desired. Their basic design usually consists of human hair, mink hair, or synthetic materials attached to a thin cloth-like band, which is applied with glue to the lashline. Designs vary in length and color. Rhinestones, gems, and even feathers and lace occur on some false eyelash designs. Eyelashes can be purchased in several drug or beauty supply stores and can be applied with eyelash glue. These eyelashes are not permanent and can be taken off easily by gently taking them off with your fingers. Contouring is designed to give shape to an area of the face. The aim is to enhance the natural shading on the face to give the illusion of a more defined facial structure which can be altered to preference. Brighter skin coloured makeup products are used to 'highlight' areas which are wanted to draw attention to or to be caught in the light, whereas darker shades are used to create a shadow. These light and dark tones are blended on the skin to create the illusion of a more definite face shape. It can be achieved using a "contour palette" - which can be either cream or powder. Cleansers or foaming washes are used to remove excess dirt, oil, and makeup left on the skin. Different cleansing products are aimed at various types of skin, such as sulfate-free cleansers and spin brushes. Cleansing oil or oil cleanser is an oil-based solution that can contain, but not necessarily, an emulsifier to allow for the oils to gently emulsify on the skin. Cleansing Oils allowing to provide essential fatty acids to the skin. Not every skin type necessarily tolerates these types of cleansers in particular if one is blemish prone. Toners are used after cleansing the skin to freshen it up, boost the appearance of one's complexion, and remove any traces of cleanser, mask, or makeup, as well to help restore the skin's natural pH. They are usually applied to a cotton pad and wiped over the skin, but can be sprayed onto the skin from a spray bottle. Toners typically contain alcohol, water, and herbal extracts or other chemicals depending on skin type whether oily, dry, or combination. Toners containing alcohol are quite astringent, and usually targeted at oily skins. Dry or normal skin should be treated with alcohol-free toners. Witch hazel solution is a popular toner for all skin types, but many other products are available. Many toners contain salicylic acid and/or benzoyl peroxide. These types of toners are targeted at oily skin types, as well as acne-prone skin. Facial masks are treatments applied to the skin and then removed. Typically, they are applied to a dry, cleansed face, avoiding the eyes and lips. Clay-based masks use kaolin clay or fuller's earth to transport essential oils and chemicals to the skin, and are typically left on until completely dry. As the clay dries, it absorbs excess oil and dirt from the surface of the skin and may help to clear blocked pores or draw comedones to the surface. Because of its drying actions, clay-based masks should only be used on oily skins. Peel masks are typically gel-like in consistency, and contain acids or exfoliating agents to help exfoliate the skin, along with other ingredients to hydrate, discourage wrinkles, or treat uneven skin tone. They are left on to dry and then gently peeled off. They should be avoided by people with dry or sensitive skin, as they tend to be very drying. Sheet masks are a relatively new product that are becoming extremely popular in Asia. Sheet masks consist of a thin cotton or fiber sheet with holes cut out for the eyes and lips and cut to fit the contours of the face, onto which serums and skin treatments are brushed in a thin layer; the sheets may be soaked in the treatment. Masks are available to suit almost all skin types and skin complaints. Sheet masks are quicker, less messy, and require no specialized knowledge or equipment for their use compared to other types of face masks, but they may be difficult to find and purchase outside Asia. Exfoliants are products that help slough off dry, dead skin cells to improve the skin's appearance. This is achieved either by using mild acids or other chemicals to loosen old skin cells, or abrasive substances to physically scrub them off. Exfoliation can even out patches of rough skin, improve circulation to the skin, clear blocked pores to discourage acne and improve the appearance and healing of scars. Chemical exfoliants may include citric acid (from citrus fruits), acetic acid (from vinegar), malic acid (from fruit), glycolic acid, lactic acid, or salicylic acid. They may be liquids or gels, and may or may not contain an abrasive to remove old skin cells afterwards. Abrasive exfoliants include gels, creams or lotions, as well as physical objects. Loofahs, microfiber cloths, natural sponges, or brushes may be used to exfoliate skin, simply by rubbing them over the face in a circular motion. Gels, creams, or lotions may contain an acid to encourage dead skin cells to loosen, and an abrasive such as microbeads, sea salt, sugar, ground nut shells, rice bran, or ground apricot kernels to scrub the dead cells off the skin. Salt and sugar scrubs tend to be the harshest, while scrubs containing beads or rice bran are typically very gentle. Moisturizers are creams or lotions that hydrate the skin and help it to retain moisture; they may contain essential oils, herbal extracts, or chemicals to assist with oil control or reducing irritation. Night creams are typically more hydrating than day creams, but may be too thick or heavy to wear during the day, hence their name. Tinted moisturizers contain a small amount of foundation, which can provide light coverage for minor blemishes or to even out skin tones. They are usually applied with the fingertips or a cotton pad to the entire face, avoiding the lips and area around the eyes. Eyes require a different kind of moisturizer compared with the rest of the face. The skin around the eyes is extremely thin and sensitive, and is often the first area to show signs of aging. Eye creams are typically very light lotions or gels, and are usually very gentle; some may contain ingredients such as caffeine or Vitamin K to reduce puffiness and dark circles under the eyes. Eye creams or gels should be applied over the entire eye area with a finger, using a patting motion. Finding a moisturizer with SPF is beneficial to prevent aging and wrinkles. A makeup brush is used to apply makeup onto the face. There are two types of makeup brushes: synthetic and natural. Synthetic brushes are best for cream products while natural brushes are ideal for powder products. Using the appropriate brush to apply a certain product allows the product to blend into the skin smoothly and evenly. A foundation brush is usually a dense brush that distributes the product evenly while smoothing out the face. This brush is best used to achieve full coverage. A blush brush comes in all shapes and sizes and is used to apply blush, allowing the blush to look natural while giving a flush of color. There are two categories of personal care products. The Federal Food, Drug and Cosmetic Act defines cosmetics as products intended to cleanse or beautify (for instance, shampoos and lipstick). A separate category exists for medications, which are intended to diagnose, cure, mitigate, treat, or prevent disease, or to affect the structure or function of the body (for instance, sunscreens and acne creams). Some products, such as moisturizing sunscreens and anti-dandruff shampoos, are regulated within both categories. There are also many types of tools used such as makeup brushes or face sponges, also known as the Beauty Blender  The Beauty Blender is supposed to be run underwater to become dampened and then can be used to apply foundation, blend concealer, and apply powder or highlighter. A variety of organic compounds and inorganic compounds comprise typical cosmetics. Typical organic compounds are modified natural oils and fats as well as a variety of petrochemically derived agents. Inorganic compounds are processed minerals such as iron oxides, talc, and zinc oxide. The oxides of zinc and iron are classified as pigments, i.e. colorants that have no solubility in solvents. Handmade and certified organic products are becoming more mainstream, due to the fact that certain chemicals in some skincare products may be harmful if absorbed through the skin. Products claimed to be organic should, in the U.S., be certified "USDA Organic". The term "mineral makeup" applies to a category of face makeup, including foundation, eye shadow, blush, and bronzer, made with loose, dry mineral powders. These powders are often mixed with oil-water emulsions. Lipsticks, liquid foundations, and other liquid cosmetics, as well as compressed makeups such as eye shadow and blush in compacts, are often called mineral makeup if they have the same primary ingredients as dry mineral makeups. However, liquid makeups must contain preservatives and compressed makeups must contain binders, which dry mineral makeups do not. Mineral makeup usually does not contain synthetic fragrances, preservatives, parabens, mineral oil, and chemical dyes. For this reason, dermatologists may consider mineral makeup to be gentler to the skin than makeup that contains those ingredients. Some minerals are nacreous or pearlescent, giving the skin a shining or sparking appearance. One example is bismuth oxychloride. There are various mineral-based makeup brands, including: Bare Minerals, Tarte, Bobbi Brown, and Stila. Although some ingredients in cosmetics may cause concerns, some are widely seen as beneficial. Titanium dioxide, found in sunscreens, and zinc oxide have anti-inflammatory properties. The term cosmetic packaging is used for primary packaging and secondary packaging of cosmetic products. Cosmetic packaging is standardized by the ISO 22715, set by the International Organization for Standardization and regulated by national or regional regulations such as those issued by the EU or the FDA. Marketers and manufacturers of cosmetic products must be compliant to these regulations to be able to market their cosmetic products in the corresponding areas of jurisdiction. The manufacture of cosmetics is dominated by a small number of multinational corporations that originated in the early 20th century, but the distribution and sales of cosmetics is spread among a wide range of businesses. The world's largest cosmetic companies are L'Oréal, Procter & Gamble, Unilever, Shiseido, and Estée Lauder. In 2005, the market volume of the cosmetics industry in the US, Europe, and Japan was about EUR 70 Billion/a year. In Germany, the cosmetic industry generated €12.6 billion of retail sales in 2008, which makes the German cosmetic industry the third largest in the world, after Japan and the United States. German exports of cosmetics reached €5.8 billion in 2008, whereas imports of cosmetics totaled €3 billion. 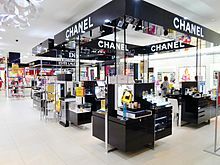 The worldwide cosmetics and perfume industry currently generates an estimated annual turnover of US$170 billion (according to Eurostaf – May 2007). Europe is the leading market, representing approximately €63 billion, while sales in France reached €6.5 billion in 2006, according to FIPAR (Fédération des Industries de la Parfumerie – the French federation for the perfume industry). [unreliable source?] France is another country in which the cosmetic industry plays an important role, both nationally and internationally. According to data from 2008, the cosmetic industry has grown constantly in France for 40 consecutive years. In 2006, this industrial sector reached a record level of €6.5 billion. Famous cosmetic brands produced in France include Vichy, Yves Saint Laurent, Yves Rocher, and many others. The Italian cosmetic industry is also an important player in the European cosmetic market. Although not as large as in other European countries, the cosmetic industry in Italy was estimated to reach €9 billion in 2007. The Italian cosmetic industry is dominated by hair and body products and not makeup as in many other European countries. In Italy, hair and body products make up approximately 30% of the cosmetic market. Makeup and facial care, however, are the most common cosmetic products exported to the United States. According to Euromonitor International, the market for cosmetics in China is expected to be $7.4 billion in 2021 up from $4.3 billion in 2016. The increase is due to social media and the changing attitudes of people in the 18-to-30-year age bracket. Due to the popularity of cosmetics, especially fragrances and perfumes, many designers who are not necessarily involved in the cosmetic industry came up with perfumes carrying their names. Moreover, some actors and singers (such as Celine Dion) have their own perfume line. Designer perfumes are, like any other designer products, the most expensive in the industry as the consumer pays for the product and the brand. Famous Italian fragrances are produced by Giorgio Armani, Dolce & Gabbana, and others. Procter & Gamble, which sells CoverGirl and Dolce & Gabbana makeup, funded a study concluding that makeup makes women seem more competent. Due to the source of funding, the quality of this Boston University study is questioned. During the 20th century, the popularity of cosmetics increased rapidly. Cosmetics are used by girls at increasingly young ages, especially in the United States. Because of the fast-decreasing age of make-up users, many companies, from high-street brands like Rimmel to higher-end products like Estee Lauder, cater to this expanding market by introducing flavored lipsticks and glosses, cosmetics packaged in glittery and sparkly packaging, and marketing and advertising using young models. The social consequences of younger and younger cosmetics use has had much attention in the media over the last few years. Criticism of cosmetics has come from a wide variety of sources including some feminists, religious groups, animal rights activists, authors, and public interest groups. It has also faced criticism from men in the manosphere, some of whom describe it as a form of deception or fakeup. In the United States: "Under the law, cosmetic products and ingredients do not need FDA premarket approval." The EU and other regulatory agencies around the world have more stringent regulations. The FDA does not have to approve or review cosmetics, or what goes in them, before they are sold to the consumers. The FDA only regulates against some colors that can be used in the cosmetics and hair dyes. The cosmetic companies do not have to report any injuries from the products; they also only have voluntary recalls of products. There has been a marketing trend towards the sale of cosmetics lacking controversial ingredients, especially those derived from petroleum, sodium lauryl sulfate (SLS), and parabens. Numerous reports have raised concern over the safety of a few surfactants, including 2-butoxyethanol. In some individuals, SLS may cause a number of skin problems, including dermatitis. Perfumes are widely used in consumer products. Studies concluded from patch testing show fragrances contain some ingredients which may cause allergic reactions. Balsam of Peru was the main recommended marker for perfume allergy before 1977, which is still advised. The presence of Balsam of Peru in a cosmetic will be denoted by the INCI term Myroxylon pereirae. In some instances, Balsam of Peru is listed on the ingredient label of a product by one of its various names, but it may not be required to be listed by its name by mandatory labeling conventions (in fragrances, for example, it may simply be covered by an ingredient listing of "fragrance"). Some cosmetics companies have made pseudo-scientific claims about their products which are misleading or unsupported by scientific evidence. Cosmetics testing on animals is particularly controversial. Such tests involve general toxicity, eye and skin irritancy, phototoxicity (toxicity triggered by ultraviolet light), and mutagenicity. Due to the controversy over the ethics of animal testing, alternatives to animal testing are in development, and some nations have chosen to legislate on animal testing with cosmetics. There are nearly 50 non-animal tests that have been validated for use, with many more in development, that may replace animal testing and are potentially more efficacious. Cosmetics testing is banned in the Netherlands, India, Norway, Israel, New Zealand, Belgium, and the UK, and in 2002, after 13 years of discussion, the European Union (EU) agreed to phase in a near-total ban on the sale of animal-tested cosmetics throughout the EU from 2009, and to ban all cosmetics-related animal testing. Animal testing is regulated in EC Regulation 1223/2009 on cosmetics. France, which is home to the world's largest cosmetics company, L'Oréal, has protested the proposed ban by lodging a case at the European Court of Justice in Luxembourg, asking that the ban be quashed. The ban is also opposed by the European Federation for Cosmetics Ingredients, which represents 70 companies in Switzerland, Belgium, France, Germany, and Italy. A plethora of cosmetic companies are cruelty free including: Bath and Body Works, Milani, Kat Von D, ELF, Too Faced Cosmetics, Lush, Physicians Formula, Urban Decay, Wet n Wild, Smashbox, and a variety of others. PETA has links on their website that users can sign encouraging makeup brands to become cruelty free. In the European Union, the manufacture, labelling, and supply of cosmetics and personal care products are regulated by Regulation EC 1223/2009. It applies to all the countries of the EU as well as Iceland, Norway, and Switzerland. This regulation applies to single-person companies making or importing just one product as well as to large multinationals. Manufacturers and importers of cosmetic products must comply with the applicable regulations in order to sell their products in the EU. In this industry, it is common fall back on a suitably qualified person, such as an independent third party inspection and testing company, to verify the cosmetics’ compliance with the requirements of applicable cosmetic regulations and other relevant legislation, including REACH, GMP, hazardous substances, etc. In the European Union, the circulation of cosmetic products and their safety has been a subject of legislation since 1976. One of the newest improvement of the regulation concerning cosmetic industry is a result of the ban animal testing. Testing cosmetic products on animals has been illegal in the European Union since September 2004, and testing the separate ingredients of such products on animals is also prohibited by law, since March 2009 for some endpoints and full since 2013. Cosmetic regulations in Europe are often updated to follow the trends of innovations and new technologies while ensuring product safety. For instance, all annexes of the Regulation 1223/2009 were aimed to address potential risks to human health. Under the EU cosmetic regulation, manufacturers, retailers, and importers of cosmetics in Europe will be designated as "Responsible Person". This new status implies that the responsible person has the legal liability to ensure that the cosmetics and brands they manufacture or sell comply with the current cosmetic regulations and norms. The responsible person is also responsible of the documents contained in the Product Information File (PIF), a list of product information including data such as Cosmetic Product Safety Report, product description, GMP statement, or product function. In 1938, the U.S. passed the Food, Drug, and Cosmetic Act authorizing the Food and Drug Administration (FDA) to oversee safety via legislation in the cosmetic industry and its aspects in the United States. The FDA joined with 13 other federal agencies in forming the Interagency Coordinating Committee on the Validation of Alternative Methods (ICCVAM) in 1997, which is an attempt to ban animal testing and find other methods to test cosmetic products. ANVISA (Agência Nacional de Vigilância Sanitária, Brazilian Health Surveillance Agency) is the regulatory body responsible for cosmetic legislation and directives in the country. The rules apply to manufacturers, importers, and retailers of cosmetics in Brazil, and most of them have been harmonized so they can apply to the entire Mercosur. The current legislation restricts the use of certain substances such as pyrogallol, formaldehyde, or paraformaldehyde and bans the use of others such as lead acetate in cosmetic products. All restricted and forbidden substances and products are listed in the regulation RDC 16/11 and RDC 162, 09/11/01. More recently, a new cosmetic Technical Regulation (RDC 15/2013) was set up to establish a list of authorized and restricted substances for cosmetic use, used in products such as hair dyes, nail hardeners, or used as product preservatives. Most Brazilian regulations are optimized, harmonized, or adapted in order to be applicable and extended to the entire Mercosur economic zone. The standard is based on other quality management systems, ensuring smooth integration with such systems as ISO 9001 or the British Retail Consortium (BRC) standard for consumer products. Therefore, it combines the benefits of GMP, linking cosmetic product safety with overall business improvement tools that enable organisations to meet global consumer demand for cosmetic product safety certification. In July 2012, since microbial contamination is one of the greatest concerns regarding the quality of cosmetic products, the ISO has introduced a new standard for evaluating the antimicrobial protection of a cosmetic product by preservation efficacy testing and microbiological risk assessment. An account executive is responsible for visiting department and specialty stores with counter sales of cosmetics. They explain new products and "gifts with purchase" arrangements (free items given out upon purchase of cosmetics items costing over some set amount). A beauty adviser provides product advice based on the client's skin care and makeup requirements. Beauty advisers can be certified by an Anti-Aging Beauty Institute. A cosmetician is a professional who provides facial and body treatments for clients. The term cosmetologist is sometimes used interchangeably with this term, but the former most commonly refers to a certified professional. A freelance make-up artist provides clients with beauty advice and cosmetics assistance. They are usually paid by the hour by a cosmetic company; however, they sometimes work independently. Professionals in cosmetics marketing careers manage research focus groups, promote the desired brand image, and provide other marketing services (sales forecasting, allocation to retailers, etc.). Many involved within the cosmetics industry often specialize in a certain area of cosmetics such as special effects makeup or makeup techniques specific to the film, media, and fashion sectors. ^ "Cosmetics Overview". U.S. Food & Drug Administration. Retrieved 30 March 2019. ^ "The History of Lipstick And It's Slightly Gross Origins". InventorSpot. Retrieved 2010-02-09. ^ Johnson, Rita (1999). "What's That Stuff? Lipstick". Chemical and Engineering News. 77 (28): 31. doi:10.1021/cen-v077n028.p031. ^ a b Angeloglou, Maggie. The History of Make-up. First ed. Great Britain: The Macmillan Company, 1970. 41–42. Print. ^ "FDA Authority Over Cosmetics". Cfsan.fda.gov. Archived from the original on 2009-05-13. Retrieved 2011-10-23. ^ "eyeshadow - definition of eyeshadow in English | Oxford Dictionaries". Oxford Dictionaries | English. Retrieved 2016-11-30. ^ Webster, Emma Sarran. "This Is the Real Difference Between Natural and Synthetic Makeup Brushes". Teen Vogue. Retrieved 2018-05-07. ^ Rebecca, Ashley (21 November 2017). "How to Contour For Your Face Shape". Makeup.com. ^ "beautyblender® official site | the original makeup sponge | free shipping". www.beautyblender.com. Retrieved 2018-05-01. ^ Singer, Natasha (2007-11-01). "Natural, Organic Beauty". The New York Times. ^ "The Lowdown on Mineral Makeup". WebMD. p. 2. Retrieved 29 October 2018. ^ Administration, Australian Government Department of Health. Therapeutic Goods (2017-01-11). "Literature review on the safety of titanium dioxide and zinc oxide nanoparticles in sunscreens". Therapeutic Goods Administration (TGA). Retrieved 2018-07-17. ^ "Understanding the Cosmetics Regulation". Cosmetics Europe Association. Retrieved 3 November 2016. ^ International Organization for Standardization. "ISO 22715:2006 Cosmetics – Packaging and labelling". ISO.org. Retrieved 2 November 2016. ^ a b "Cosmetic Industry". Archived from the original on 2010-09-08. Retrieved 2010-08-04. ^ "France continues to lead the way in cosmetics". ClickPress. 24 July 2008. ^ Wei, Daniela (2017-05-31). "Bloggers Touting Makeup Secrets Spur Estee Lauder's China Sales". Bloomberg News. Retrieved 2017-06-02. ^ Etcoff, N. L.; Stock, S; Haley, L. E.; Vickery, S. A.; House, D. M. (2011). "Cosmetics as a Feature of the Extended Human Phenotype: Modulation of the Perception of Biologically Important Facial Signals". PLoS ONE. 6 (10): e25656. Bibcode:2011PLoSO...625656E. doi:10.1371/journal.pone.0025656. PMC 3185017. PMID 21991328. ^ Millikan, Larry E. (2001). "Cosmetology, cosmetics, cosmeceuticals: Definitions and regulations". Clinics in Dermatology. 19 (4): 371–4. CiteSeerX 10.1.1.467.6719. doi:10.1016/S0738-081X(01)00195-X. PMID 11535376. ^ Singer, Natasha (March 26, 2011). "What would Estee Do?". The New York Times. Retrieved 18 March 2014. ^ Battista, Kathy (2012-09-19). "Cindy Hinant's make-up, glamour and TV show". Phaidon. The American feminist artist's [Cindy Hinant] first solo show at Manhattan's Joe Sheftel Gallery plays with feminine ideals and expectations, as well as earlier artistic movements, says Dr Kathy Battista of Sotheby's Institute of Art, New York...A series of MakeUp Paintings appear as pale monochromatic works, but closer inspection reveals they are the result of the artist's daily action of blotting her face on the paper. The variation in tones calls attention to the use of makeup as artifice and the layered construction of the female self. ^ Franks, Mary Anne. "How to Feel like a Woman, or Why Punishment is a Drag." UCLA L. Rev. 61 (2013): 566. ^ "Signers of the Compact for Safe Cosmetics". Campaign for Safe Cosmetics. Archived from the original on 2007-06-09. Retrieved 2007-07-05. ^ "7: Final Report on the Safety Assessment of Sodium Lauryl Sulfate and Ammonium Lauryl Sulfate". International Journal of Toxicology. 2 (7): 127–181. 1983. doi:10.3109/10915818309142005. ^ Frosch PJ, Pilz B, Andersen KE, et al. (November 1995). "Patch testing with fragrances: results of a multi-center study of the European Environmental and Contact Dermatitis Research Group with 48 frequently used constituents of perfumes". Contact Derm. 33 (5): 333–42. doi:10.1111/j.1600-0536.1995.tb02048.x. PMID 8565489. ^ a b Johansen, Jeanne Duus; Frosch, Peter J.; Lepoittevin, Jean-Pierre (2010). Contact Dermatitis. Springer. ISBN 9783642038273. Retrieved March 13, 2014. ^ Zhai, Hongbo; Maibach, Howard I. (2004). Dermatotoxicology (Sixth ed.). CRC Press. ISBN 9780203426272. Retrieved March 13, 2014. ^ McLaughlin, Martyn (2007-12-20). "Pseudo science can't cover up the ugly truth". The Scotsman. Edinburgh. Archived from the original on 2009-04-04. Retrieved 2009-12-16. ^ "Cosmetics". Badscience.net. Retrieved 2011-10-23. ^ Ferdowsian, Hope R.; Beck, Nancy (2011). "Ethical and Scientific Considerations Regarding Animal Testing and Research". PLoS ONE. 6 (9): e24059. Bibcode:2011PLoSO...624059F. doi:10.1371/journal.pone.0024059. PMC 3168484. PMID 21915280. ^ "Fact Sheet: Cosmetic Testing : The Humane Society of the United States". www.humanesociety.org. Retrieved 2018-05-01. ^ "Ban on Animal Testing - Growth - European Commission". Growth. 2016-07-05. Retrieved 2018-10-26. ^ a b Osborn, Andrew & Gentleman, Amelia (August 19, 2003). "Secret French move to block animal-testing ban", The Guardian. Retrieved February 27, 2008. ^ "These Companies DO NOT Test on Animals. They're Cruelty-Free". PETA. Retrieved 2018-05-01. ^ "Regulatory context". ec.europa.eu. Retrieved 2010-08-04. ^ "The 1938 Food, Drug, and Cosmetic Act". Retrieved 22 April 2015. ^ "Animal Testing & Cosmetics". Retrieved 10 February 2017. Winter, Ruth (2005) . A Consumer's Dictionary of Cosmetic Ingredients: Complete Information About the Harmful and Desirable Ingredients in Cosmetics (Paperback). US: Three Rivers Press. ISBN 978-1-4000-5233-2. Begoun, Paula (2003) . Don't Go to the Cosmetics Counter Without Me(Paperback). US: Beginning Press. ISBN 978-1-877988-30-1. Carrasco, Francisco (2009) . Diccionario de Ingredientes Cosmeticos(Paperback) (in Spanish). Spain: www.imagenpersonal.net. ISBN 978-84-613-4979-1. Adler, Sarah; Basketter, David; Creton, Stuart; Pelkonen, Olavi; Van Benthem, Jan; Zuang, Valérie; Andersen, Klaus Ejner; Angers-Loustau, Alexandre; Aptula, Aynur; Bal-Price, Anna; Benfenati, Emilio; Bernauer, Ulrike; Bessems, Jos; Bois, Frederic Y.; Boobis, Alan; Brandon, Esther; Bremer, Susanne; Broschard, Thomas; Casati, Silvia; Coecke, Sandra; Corvi, Raffaella; Cronin, Mark; Daston, George; Dekant, Wolfgang; Felter, Susan; Grignard, Elise; Gundert-Remy, Ursula; Heinonen, Tuula; Kimber, Ian; et al. (2011). "Alternative (non-animal) methods for cosmetics testing: Current status and future prospects—2010". Archives of Toxicology. 85 (5): 367–485. doi:10.1007/s00204-011-0693-2. PMID 21533817.